Special Edition for North America, Fortissimo Edition for Europe. 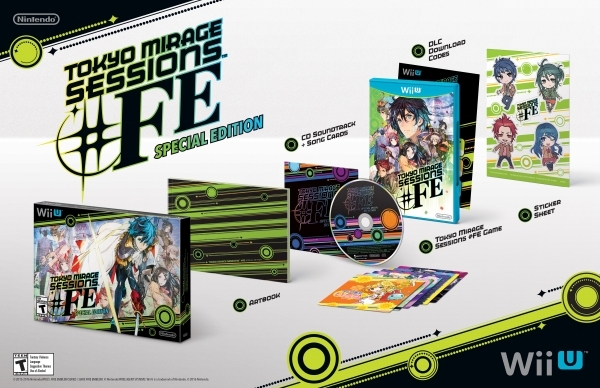 Nintendo has announced a North American and European limited edition for Tokyo Mirage Sessions #FE, its stylish Wii U RPG from Atlus inspired by the Fire Emblem and Shin Megami Tensei series. Tokyo Mirage Sessions #FE will be playable at PAX East in Boston this weekend. It is due out across North America and Europe on June 24. View high-res images of the limited edition at the gallery.